Marie-Galante was a nice and refreshing stop on our way north. After giving it a pass a couple of times before, the weather approved our stay this time. Mark and I rented a scooter for a day and explored this flat and rural French speaking island. We left from St. Louis (where Irie was anchored) up the west coast and stopped at a couple beautiful and quiet beaches. Traffic was very light and we took it easy, gazing at the farm land scenes and sugarcane fields. At the northern end of the island, we had a look at a big sink hole and some scenic rock faces. We continued inland and made a brief stop at the renovated wind mill Moulin de Bézard. We had seen several of the hundreds of ruined wind mills before, but this one was in tip-top shape. Before noon, we managed to explore the grounds of Marie-Galante’s most famous rum distillery, Distillerie Bellevue. There trademark white rum, rhum agricole, is 59° alcohol. Of course we had to try a sample! The tastings are free and they also have a variety of flavored rums. Marie-Galante is a quiet place with many wonderful beaches and we had a hard time not having Darwin with us. The climate this winter is also perfect for dogs and humans. Today Darwin would have turned 10 years old and we miss hem more than ever. He would have had a great time on and off Irie this cruising season! After waiting a week for a weather window of lighter (around 15 knots) winds, we left for Deshaies, on the northwest side of Guadeloupe. 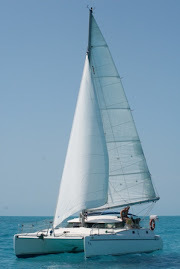 A lack of wind in the channel called for three hours of motoring, but we tried our best at sailing up the coast of the “big island”. 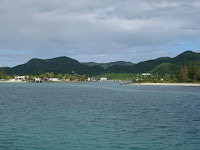 After a bad night of sleep with funky winds in this deep bay, we continued on to Antigua. Jolly Harbour, without a dog this time, was still a hassle and a negative experience. 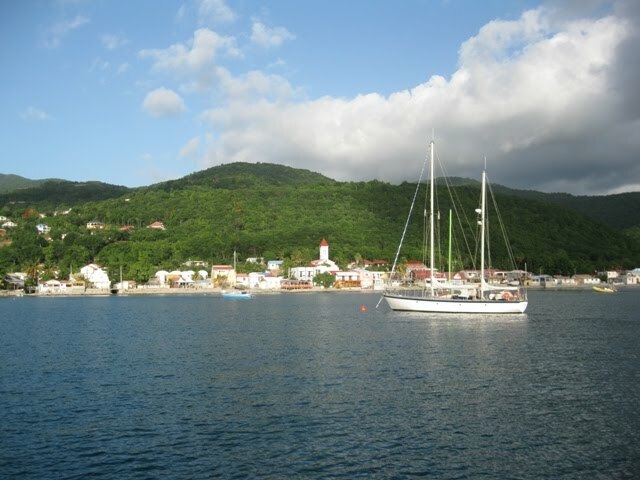 This is the only place in the Eastern Caribbean that we know of, where you have to bring your boat to the customs dock. We arrived in the harbor close to closing time and didn’t want to take the chance to stumble upon a full dock (there is only space for one boat) and having to circle forever or having to turn back because it was 4 pm, so we took our dinghy. A rude woman snapped at us to bring our boat. When we asked why, she got offensive, indicated that this was normal procedure in all the islands and threatened us with fines and sentence to prison for disobeying a customs officer. 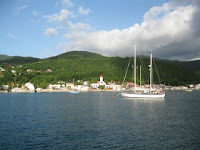 When we turned back to our boat, another sailboat pulled up the dock. 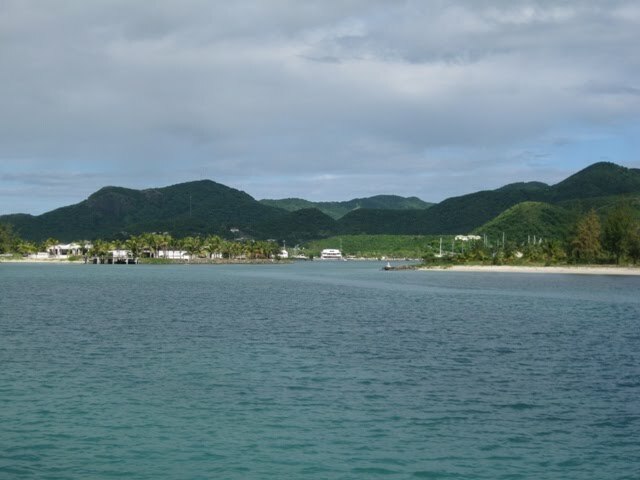 Purely out of principle, we were not going to bring Irie over the next day or deal with the big and power trip attitude of the woman, so we checked into Antigua’s capital St. John’s were people were much friendlier!